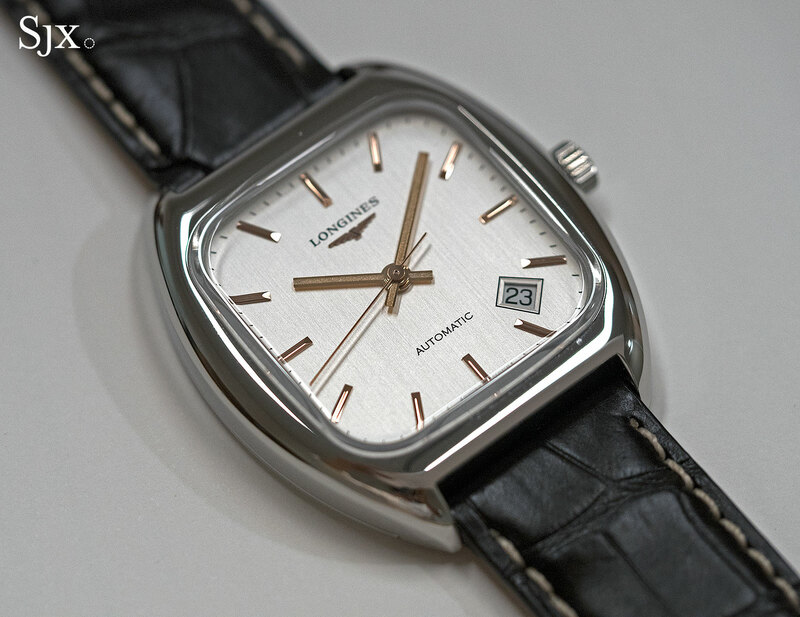 Watches of the 1970s were often chunky and geometric in shape, giving them interesting aesthetics. 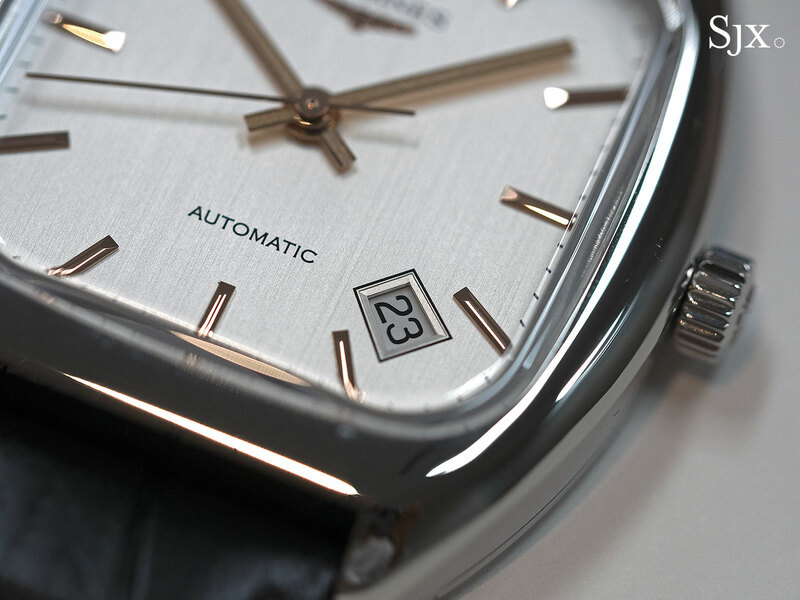 That has made watches of the era ripe for remakes, especially since many of them are large enough for modern tastes, like the Heuer Monaco, Omega Seamaster Bullhead or Longines Heritage Diver. 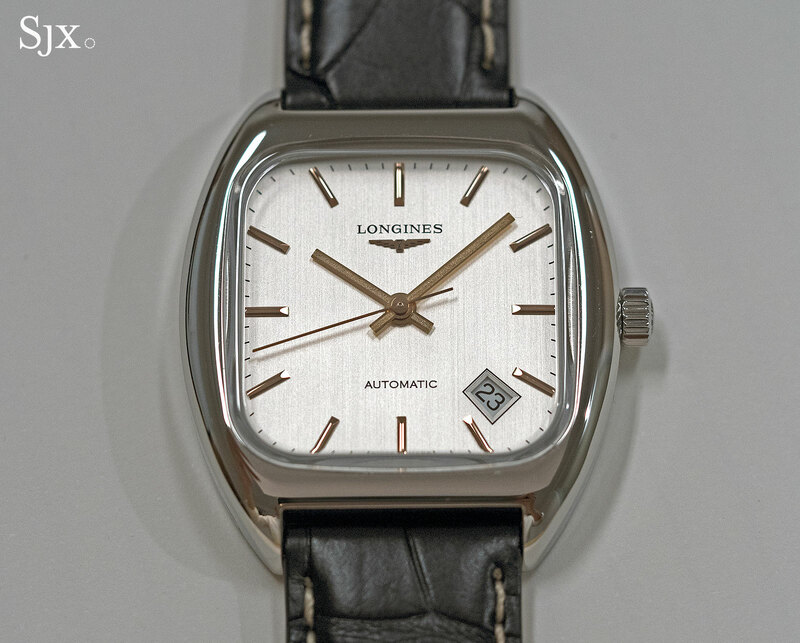 While most remakes based on 1970s watches are bulky, the most recent remake from Longines is elegant instead. 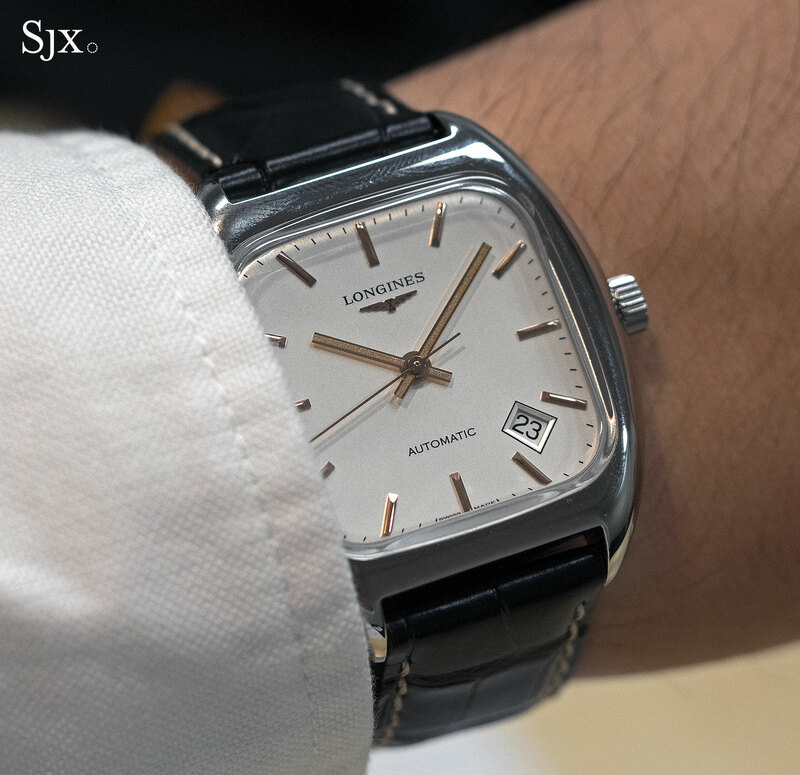 Modelled on the Ultra-Chron automatic that was powered by the automatic L430 movement, the Longines Heritage 1969 features a cushion-shaped case and angular, baton-shaped hands, a look that was fashionable in the 1970s (in 2014 Piaget reissued its cushion-shaped Beta 21 from the same era). 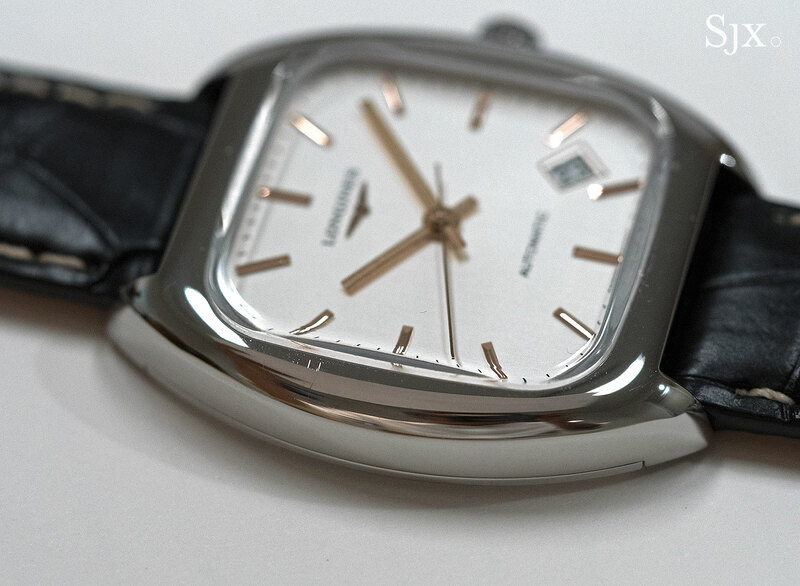 Essentially a square with rounded corners, the Heritage 1969 is a pleasantly compact 36mm both ways, giving it the proportions of a small dress watch or even a ladies’ timepiece. It stays largely faithful to the original, except with slightly longer lugs that make it a little bit more sleek, compared to the squatness of the original. Despite the squarish shape that typically feels chunky, the small size and soft edges of the Heritage 1969 give it an elegant feel. 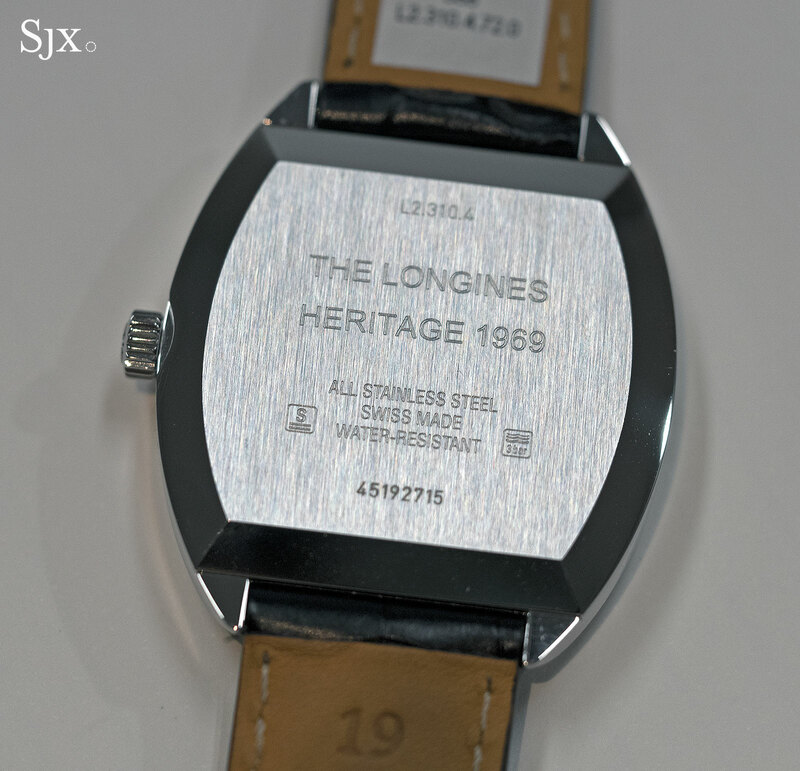 Though the crystal on the Heritage 1969 is scratch-resistant, it’s “box-shaped”. Typically limited to more expensive watches just a few years ago, the box crystal means a domed shape with angular edges that evokes the Plexiglas crystal found on the original. The dial also takes after the original, with baton hands and markers on a silvered dial finished with a vertical brushing. Up close the hour markers reveal a sloping facet on their ends, while the hands are frosted with polished borders, improving legibility. 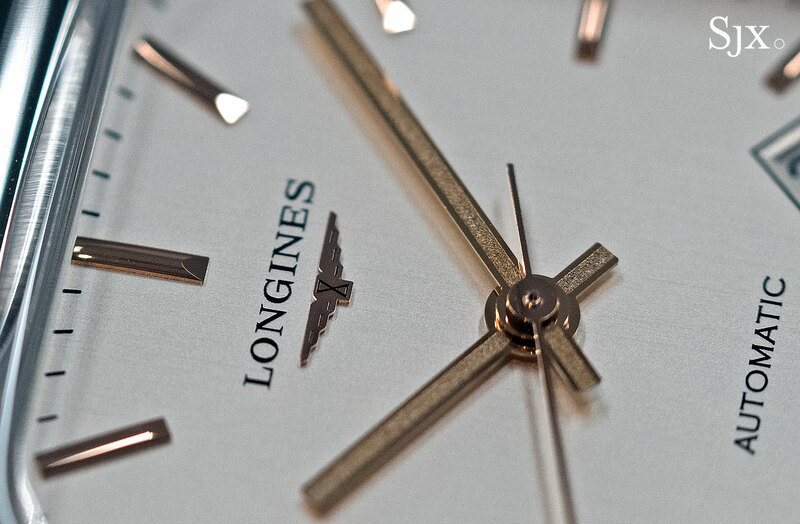 Also noteworthy is the applied winged hourglass logo, as well as the retro serif font used for “Longines”. It’s obvious thought was put into the details of the dial. 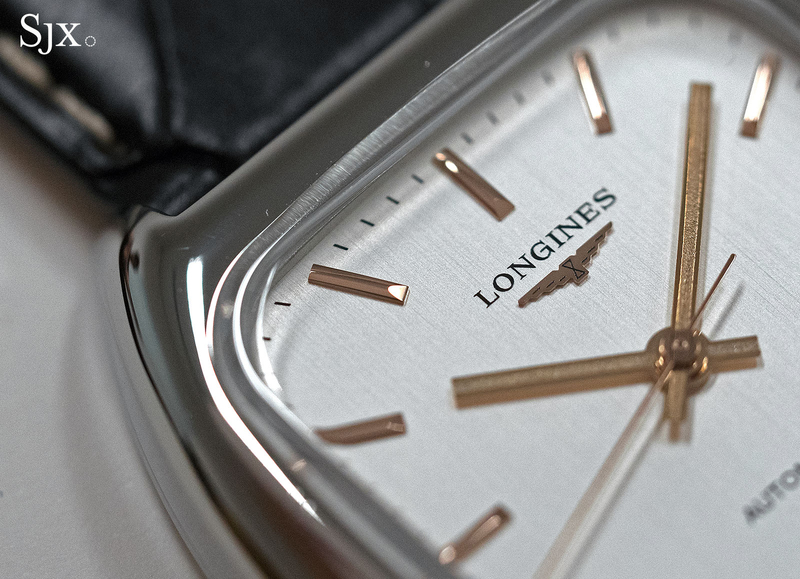 Though all of Longines’ Heritage remakes have a date window that was absent on the vintage originals (much to the ire of traditionalists), the Heritage 1969 is historically correct with a date. It sits between four and five o’clock with a black border around the window, exactly as on the original. That being said, the aesthetics of the dial would be improved sans date window. Inside is the calibre L888.2, an ETA movement that’s exclusive to Longines. It’s essentially an ETA 2892 with upgraded features, most notably an extended 64-hour power reserve (compared to 45 hours on the stock version). In fact, the L888.2 is the same calibre found in Longines’ other well received Heritage remake of 2016, the functional-looking RailRoad. Arriving in stores in the last quarter of 2016, the Heritage 1969 (ref. L2.310.4.72.0) is priced at US$2050 or S$3020.